Last year I unfortunately missed it, but not by much. I was running around Stockholm (along with a few other cities) last year but the dates didn’t match up for me. But this year, I’m more than set on going and will be buying tickets and more to insure that I will be there. Nordic.js videos from last year are up and live. There is also the standard points to follows what’s going on, see when speakers are announced, and more information via the @nordicjs on Twitter, the Facebook page, or go straight to the conference site. Alright, here’s a reprint of a conversation, paraphrased, that has happened a lot lately. I’ve been pleasantly surprised since I’ve had more than a few years in the .NET space and… well, just read the copy. Have you heard there’s this new *different* .NET conf call Fringe? a while ago, but that thing just fizzled. Node is the cool kid nowadays. Dude, a lot has changed since the last time you checked. that is node-like, completely OSS on Github and works on Mono? Wow, no kidding? Things really have changed! Check out the site, follow the @dotnetfringe twitter account and buy a ticket and get RSVPed yesterday!! Talking? 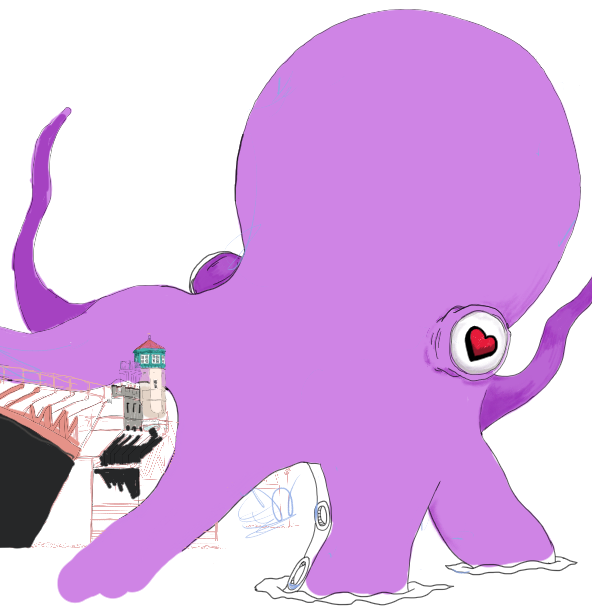 I’d love to invite all the ladies, gentlmen, and octopii (please don’t eat Stockholm’s or Portland’s bridges!) to put in your talks to both. These are community conferences, we push for inclusive conferences, we call out to all communities, groups, and anybody from beginner to professional. I’d love to see talks – great Node.js content at Nordic.js and great future directions and content at .NET Fringe. Simply, we’re aiming to get a solid direction for the future. I hope to see many of you there! In the coming weeks I’ll have a lot more about these two conferences, plus a few others that I promise you will be absolutely spectacular. Cheers!